inb4 ZOMG NEOCON BIRTHER FASCIST IDIOTS! I think I love you lotus. that’s what happened when Bush stood for president! Stop the bloody hate and live with the fact that he might actually do some good for a change. Since when has the government given us any reason to expect something good for them? President Clinton in his term removed the deficit and created a surplus. The government has been doing good things for them for years- we need them to do some good for us. Since for once your country isn’t being run by an illiterate, fear-mongering, criminal, fundamentalist, far-right-wing cretin? …yeah, I think it’s something like that. Did you guys watch the Daily Show the other day, when a bunch of old white people started answered the “Why don’t you approve of the Healthcare Reform?” question with “We’re afraid of Obama! 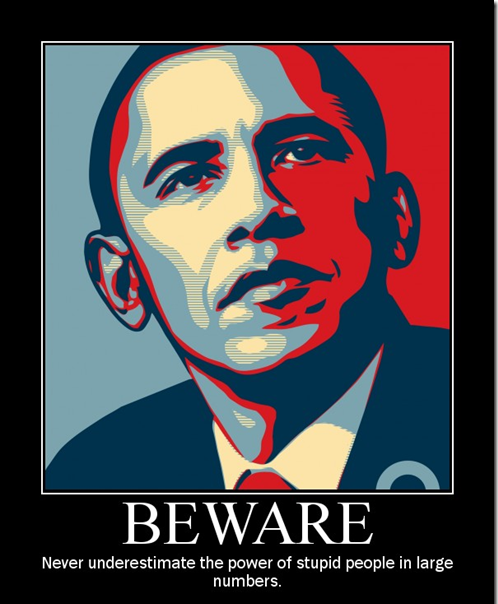 Everyone should be afraid of Obama! He’s a socialist!” ? That pretty much sums everything wrong with America today. Go and throw one inconsequential vote per voter for one single politician. Every four years. Because that’s totally empowering and such. considering how childish many of our politicians are acting right now, can we really expect much better from the people who voted for them?